The development of our bistro is actually more like a reopening. We have been located in Winterhude for more than 25 years. 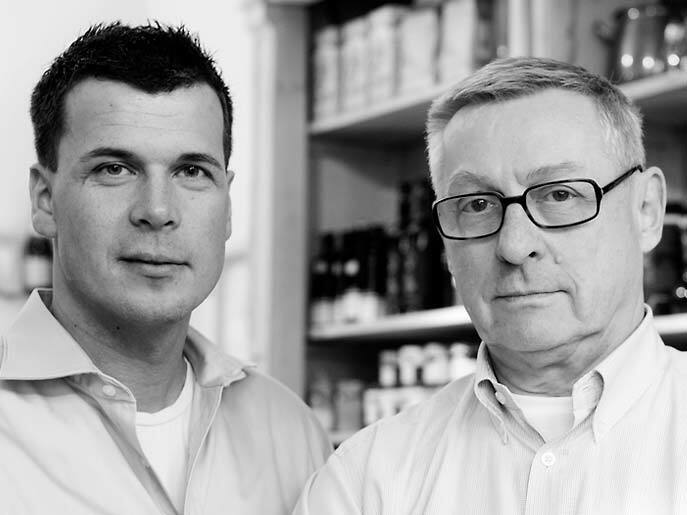 Wille Brass founded today’s catering company in 1989 with a small kitchen and a bar table. Demand grew, and the building that houses today’s bistro opened five years later. At the beginning, it functioned as a wine shop and offices. In 2003, the bistro was opened by Traiteur Wille. After ten years, it was time for a new look. We completely gutted Gottschedstrasse 13 and created Bistro Kitchen 53° Nord.